Love your pics :) I just recently travelled to Europe and we had a driving tour in Liverpool and our tour guide dated George Harrison back in the early sixties she used to see them play in the cavern for like a few cents!! I'm also a massive Beatles fan and I swear I nearly cried seeing where they used to play and all that!! Awesome!! I love the Beatles. 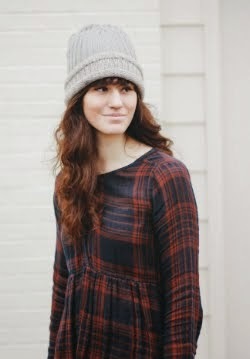 ^_^ and your outfit is so cute! I adore this skirt! Such a lovely print! i love the indoor post! it's absolutely charming. do it more! these pictures are great! also such a cute skirt. ahah so fun! I saw the photo on your instagram , loved it! Cute Beatles tee! My friend is a huge fan of them too and I'll have to show her this post by you. these pics are adorable. who doesn't love the beatles?! I love this photos shoot! I should probably do the same thing because the weather has been super crap here as well. 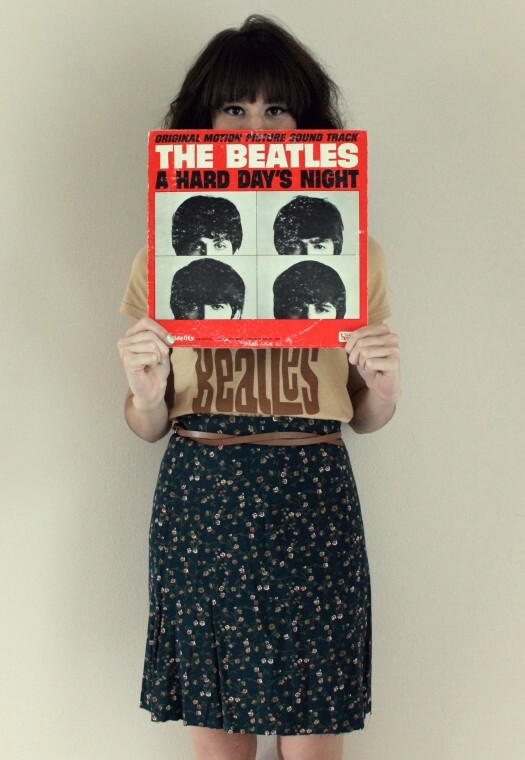 I love the Beatles shirt with this skirt. So cute! 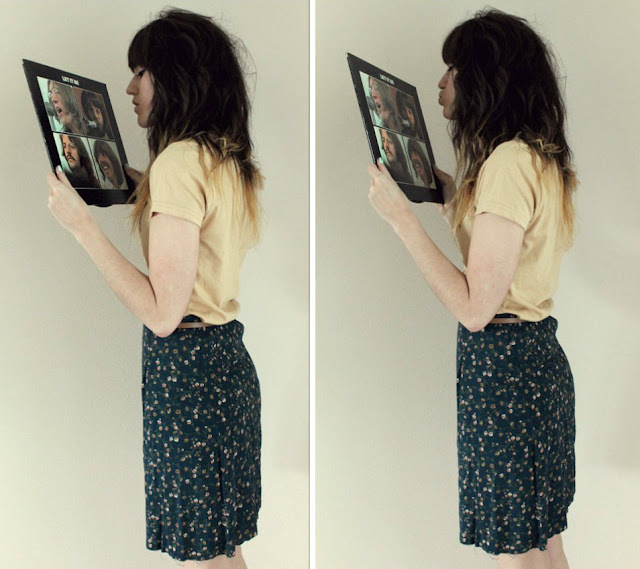 That skirt is amazing. Seriously. and that is the perrfect length. You look great! 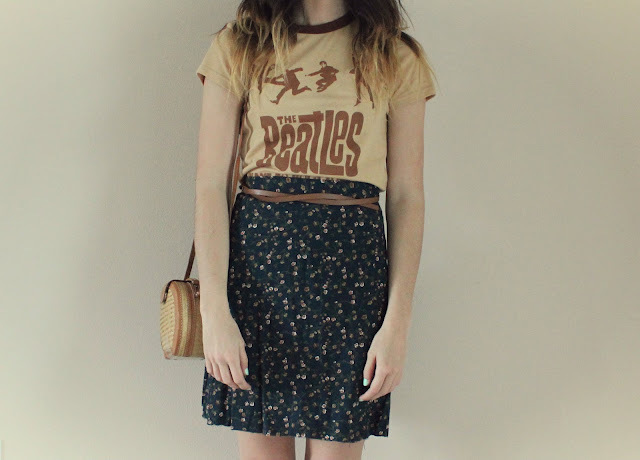 Band tees and skirts are always a good idea. 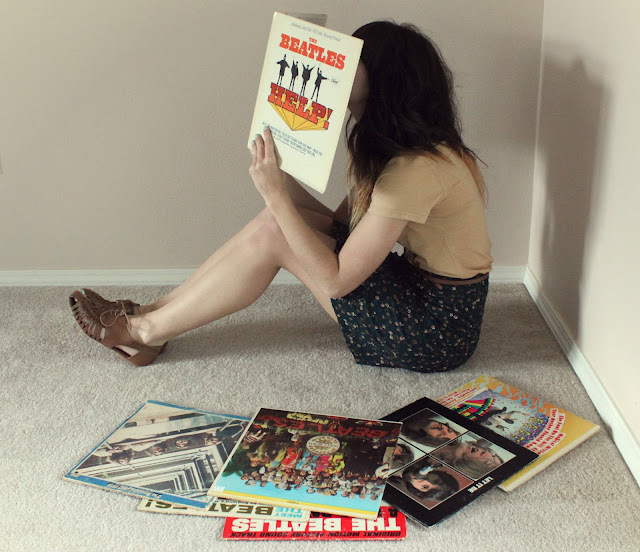 love the beatles. always and forever. cute post!!! These are great indoor photos! 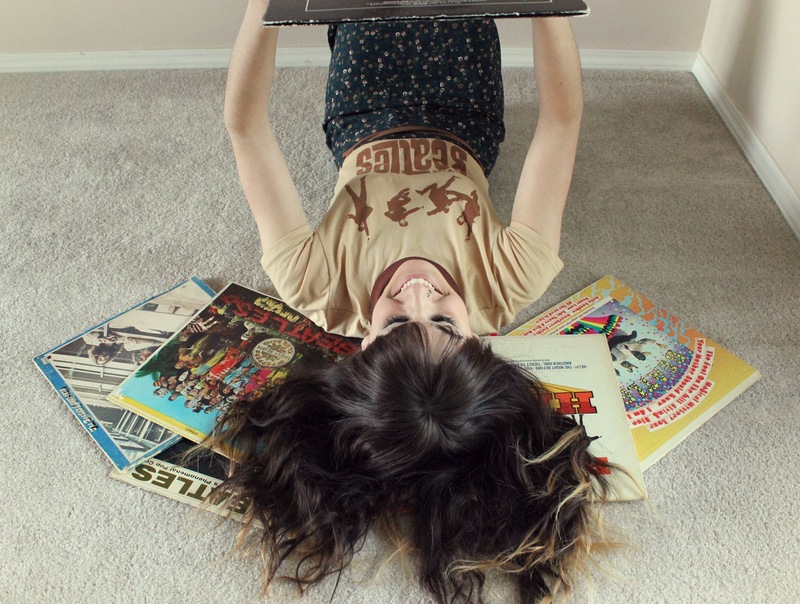 You can never go wrong with a Beatles themed photo shoot. How perfect! 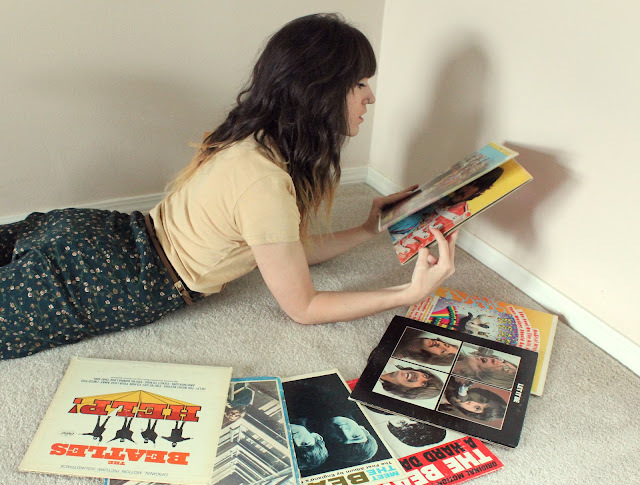 I'm super beatlemaníaca, like crazy even HAHAHA, your collection is huge! Mine is slowly increasing! Which is your favorite? :) Mine is George <3 I loved all the photos!